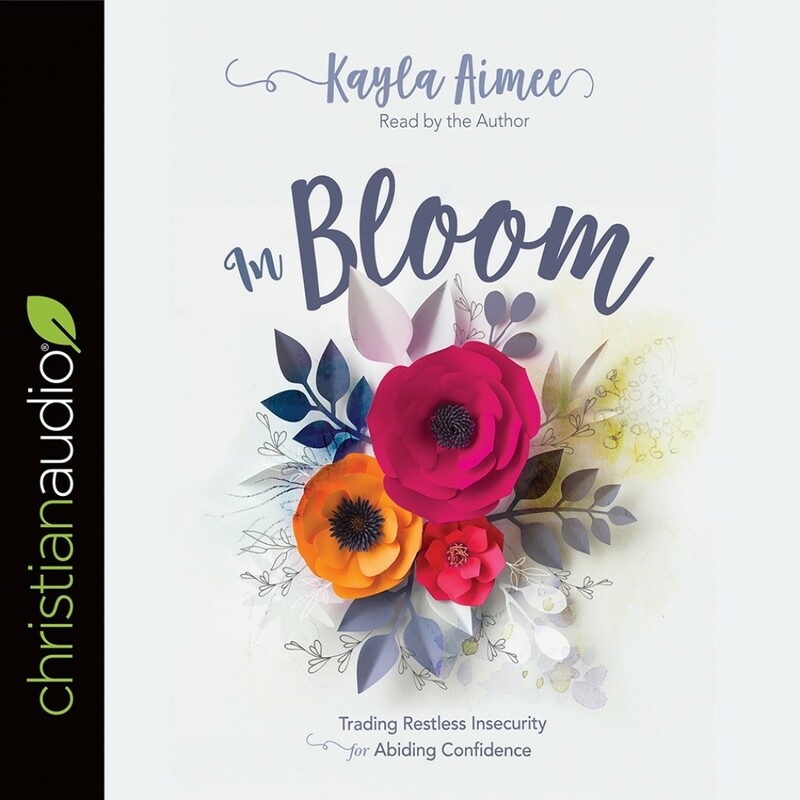 In Bloom | Kayla Aimee | Audiobook Download - Christian audiobooks. Try us free. At some point in life, every woman struggles with feelings of insecurity and inadequacy. Whether fueled by a culture of makeover shows, by the lingering memories of mean girls, or by events and regrets much more wounding to the soul, our thoughts can become so conditioned by self-doubt that it's often the primary lens through which we view ourselves or expect to be viewed by others. But what if we could rewrite the narrative? What if we could exchange our uncertainty for an abiding confidence? And what if in unearthing our worth, we uncovered our purpose as well, becoming free to unleash our gifts within community and find ourselves in complete communion with our Creator? To every woman who longs for belonging, this journey through Kayla's inviting prose, biblical promises, and journaling prompts will help guide her from restless insecurity to a beautiful becoming. We weren't made for being captives; we were made for being captivated, for fully embracing the truth of who we've been created to be.